The absence last year didn’t last to long. The Yankees finished this season with the best record in MLB. The expected postseason drought was non-existant in game one. The big offseason gem — C.C. 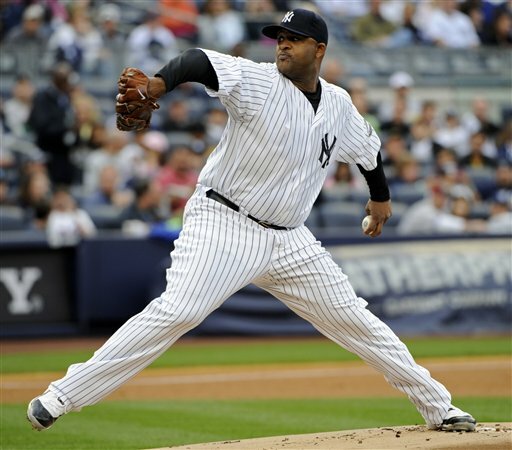 Sabathia — made the start for the Yankees, and he was dominant. He went 6.2 innings, giving up 8 hits, 1 earned run, struck out 8 and walked none. He gave up another run which was unearned. C.C. certainly answered any questions about his sluggish postseason history. The other question, of course, was Alex Rodriguez. He, too, had many many questions surrounding him, and he, too, answered them. He went 2 for 4 with 2 RBI’s. 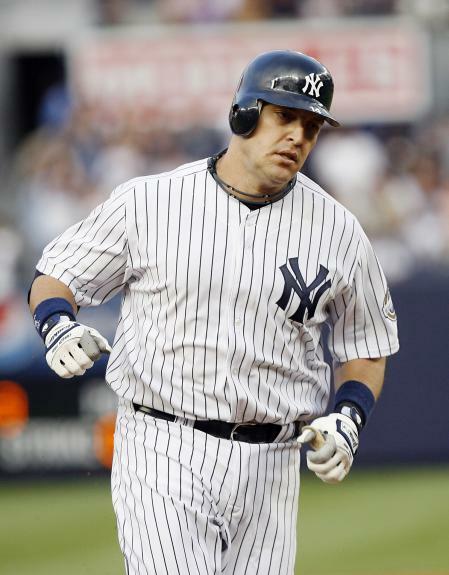 When was the last time Alex Rodriguez had 2 RBI’s in a postseason game? 2004 against the Red Sox! I think we may see a different Alex Rodriguez this postseason. Jeter also had 2 RBI’s. He was 2 for 2 with 2 walks and 3 runs scored. 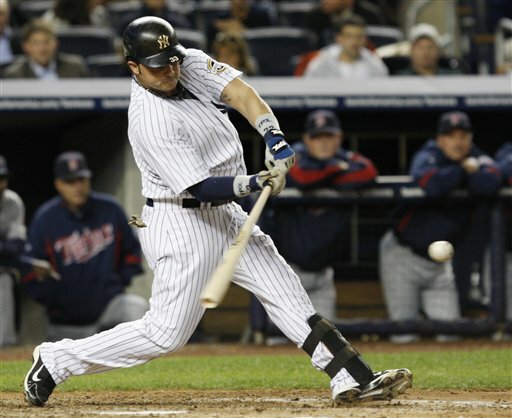 He also added a big home run two-run home run in the 3rd inning with the Yankees down 2-0. 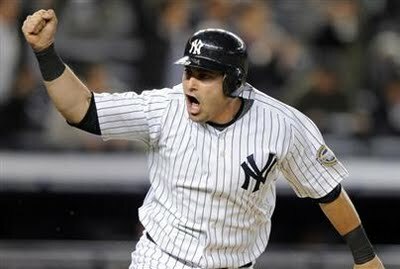 Swisher got the Yankees ahead for the first and final time in the 4th inning, with an RBI double down the left field line. Hughes, Coke, Chamberlain and Rivera all bridged together the final 2.1 innings, with Rivera pitching the ninth. It seemed as though Girardi wanted to just get everyones feet wet in the playoffs, and really wanted to win the game. Twins starter Duensing was great the first time through the order, but the Yankees got to him and limited him to just 4.2 innings pitched, and knocked him around for 5 runs. 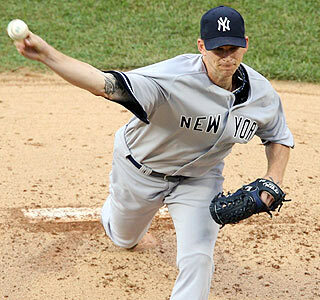 The Wrap-Up: This was a big game for the Yankees. 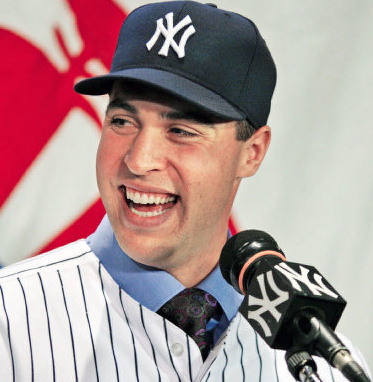 For the last couple of years, the Yankees have just gotten knocked out in the first round. Last night, the Yankees gave themselves a great chance to win this series. A-Rod and C.C. both proved that they will have no troubles in the postseason. That was the only question that needed to be answered, all they need to do now is just play! Game 2 in New York. It will be Burnett vs Blackburn. New York leads the series 1-0. After this game, the series moves to Minnesota. 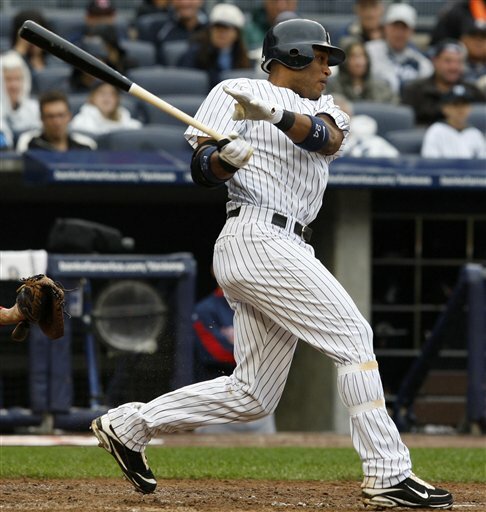 Magic number to one, Yanks can sweep tomorrow. In C.C’s last 16 starts, he has a 2.57 ERA and has struck out 108 batters. 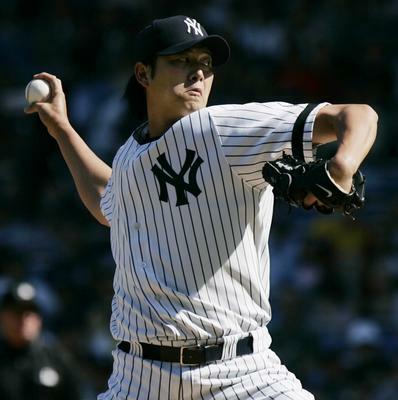 He has just been great for the Yankees and came up huge for them today. The Yankees magic number is now just one. Who would have thought that the Yankees would win a series in LA and come home and have a chance to sweep Boston? Now the Yankees have a legit chance to clinch against Boston. To me, that’s the last goal left in the 2009 regular season. Like I said, the Yankees will have a chance to sweep Boston, and clinch the division. It’ll be Pettitte vs Byrd. O’s (58-83) go for sweep, Yanks (91-52) try to get back on winning track. Hit Early: In the first inning, Guthries opponents are hitting .316 off him. Think RF Lefties: When Lefties pull the ball off Guthrie, they are hitting .507, when they go to the opposite field, they are hitting just .186. Be Patient and Get to the ‘Pen: Guthries ERA in his last 2 starts is 1.38, Baltimores bullpen has a 6.75 ERA this month. 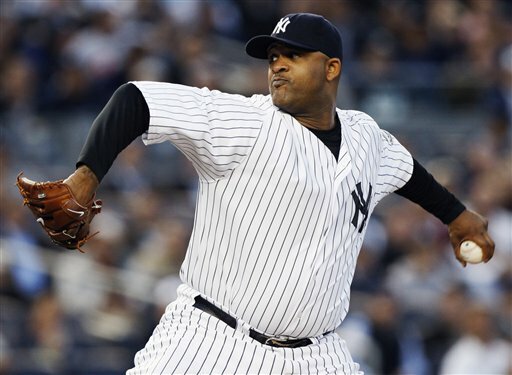 Who will start Game 2 for the Yankees in the Playoffs?